Louie’s Wine and Dive – Already open, Louie’s calls itself a relaxed, urban full-bar eatery with most wines between $6 and $9 a glass. Marott Center Expansion – The 109-year-old Marott Center is planning a 30,000 sq ft. addition that would infill the labeled lot seen above. The addition would front both Mass Ave and Vermont Street but would be listed as 333 N. Delaware St., the address of the surface lot. The addition will feature 7,500 square feet of retail space on the ground level. Of particular note in the approved design is the elimination of the car-catering curb cut on the northwest corner of Michigan and Mass. Site prep is underway. 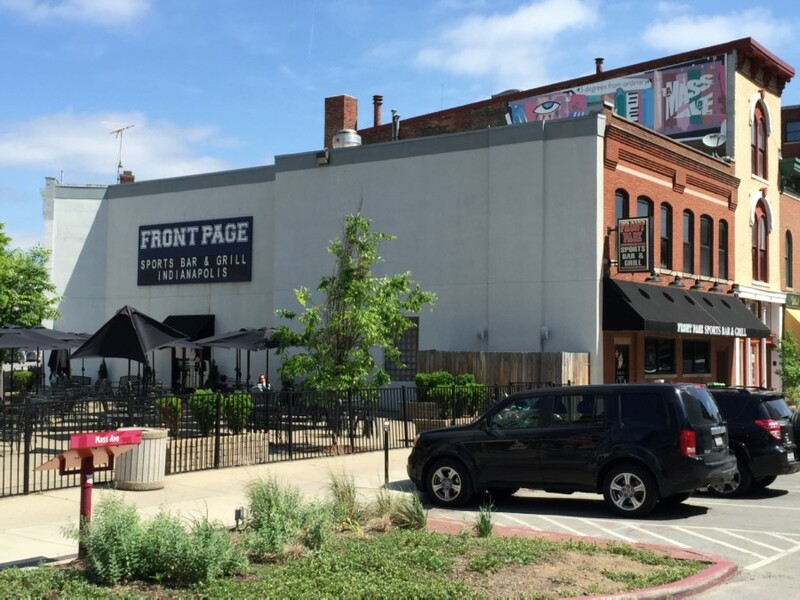 Vonnegut Parking Lot – For now, a parking lot on a prime urban intersection. But what will it be in five years? 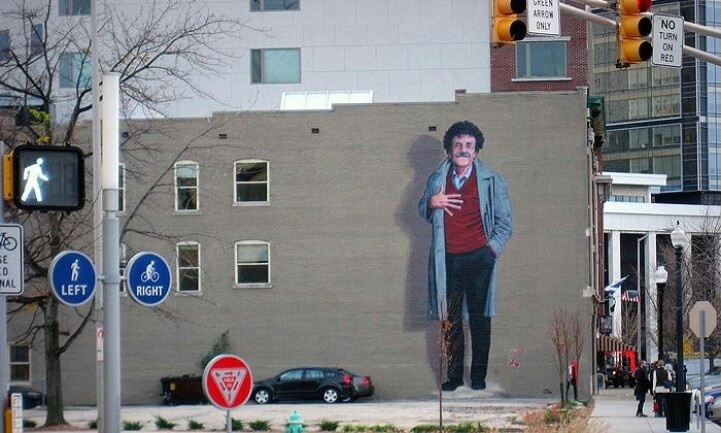 Overlooked by the famous 40-foot Vonnegut, the lot was recently purchased by a developer that has not stated their intention. it would stand to reason the land is a prime candidate for infill given the vibrancy of the “Dancing Lady” intersection, however, it’d be a shame to see Mr. Vonnegut completely overshadowed. So long Kurt? Coming tomorrow: a quick look at the activity on the block of Mass Ave between Vermont and Michigan. As always, feel free to add any updates/photos you have or comment below!